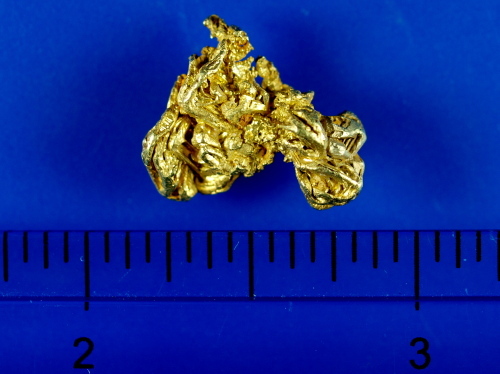 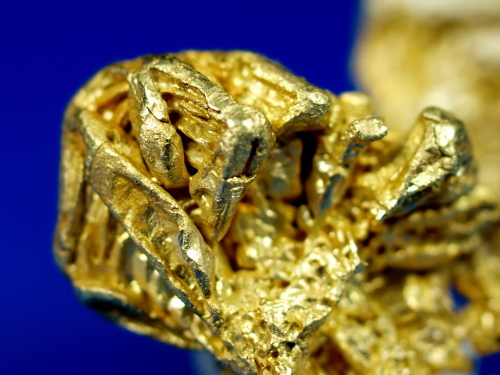 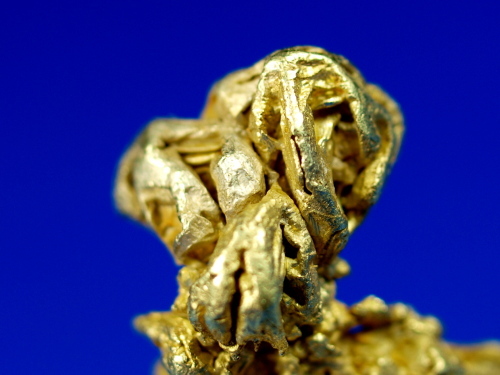 Here is an exceptional natural gold specimen from the famous Round Mountain Gold Mine in Nye County, Nevada. 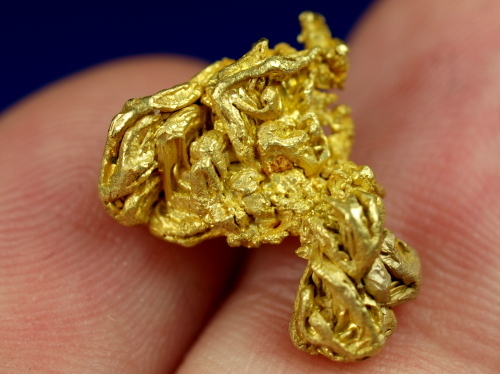 The pictures do all the talking for this amazing piece of gold. 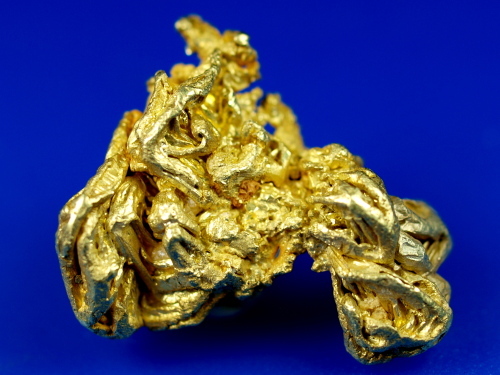 Gold of this quality commonly sells for several hundred dollars per gram at some of the larger mineral shows around the country. 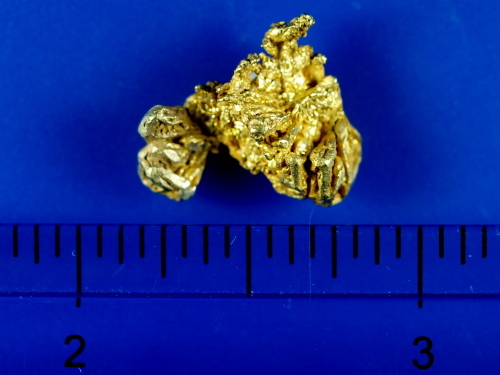 It weighs 5.10 grams.